We had a ball of a time over in the USA celebrating the marriage of our very own Jonny Martin and his shiney brand new Mrs Martin, Laura! On Sunday we asked Eternity Page followers for their Tennessee church recommendations. 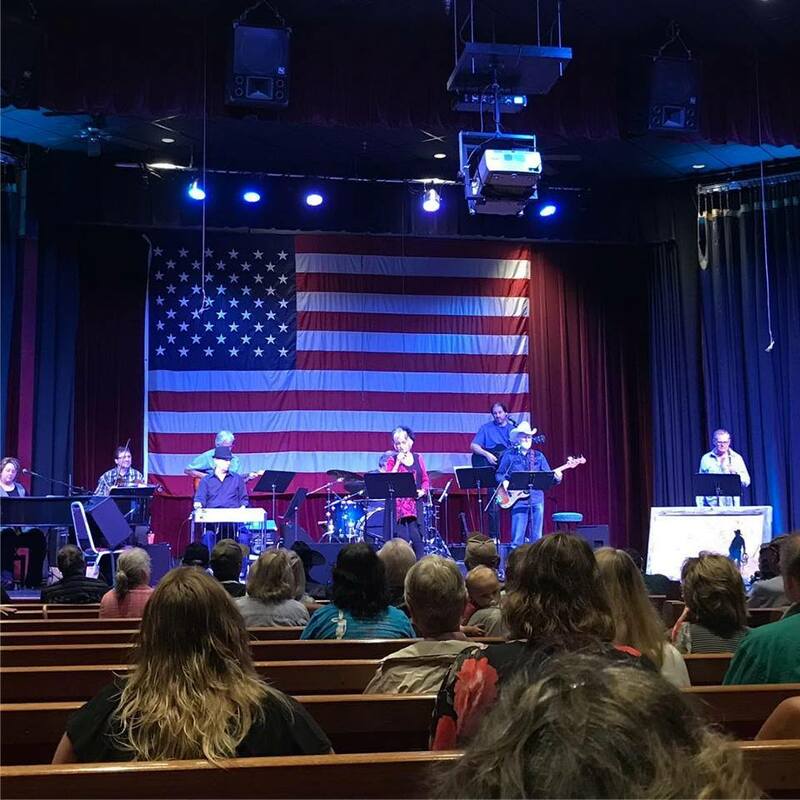 One such church was the ‘Nashville Cowboy Church’ which meets in the Texas Troubadour Theater, near Opry Mills on the outskirts of Nashville. 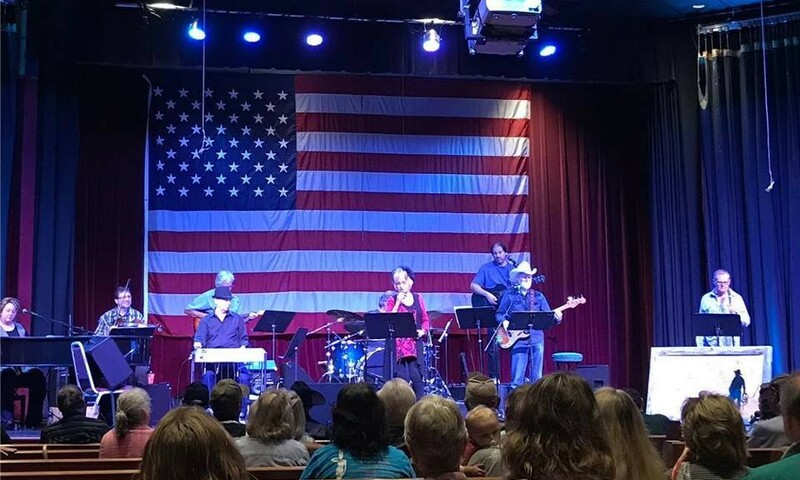 The meetings are led by Pastor Harry Yates and his wife; Joanne Cash Yates, sister of the late Johnny Cash. We were blessed with great singing as one would expect in Nashville, and a good sermon on the end times by Pastor Harry. On Monday we travelled to Pigeon Forge to see ‘Dollywood’, Dolly Parton’s theme park. of course, in any such place you’d have the usual roller coasters, shops and eateries. One thing she did have tho at hers, was a chapel, modeled on the church she grew up in. 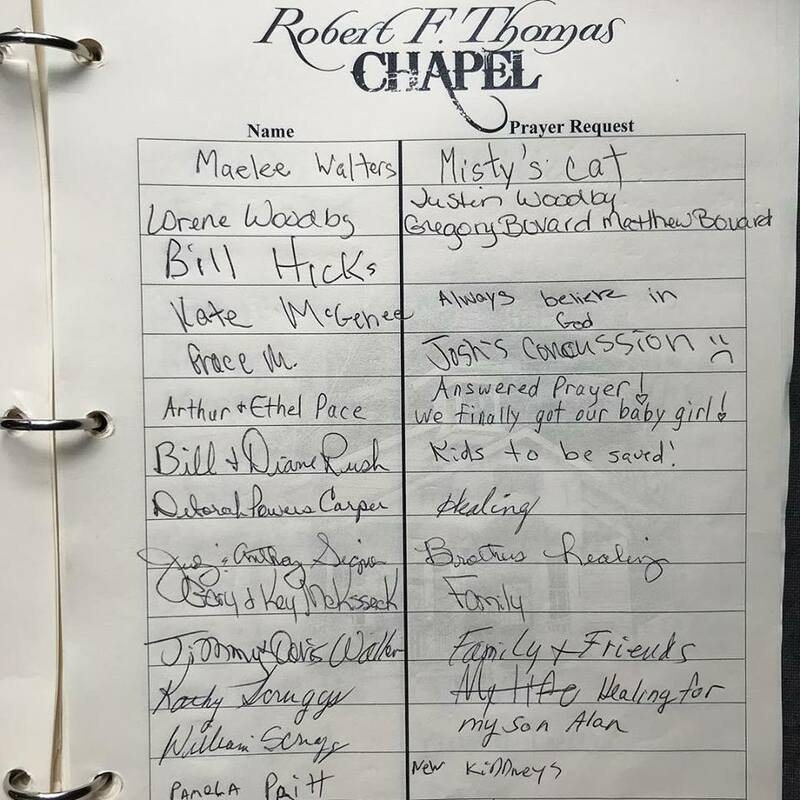 In the chapel at the park, there is a prayer request book where you fill in your name and your request. Leafing through it would bring a tear to your eye, reading about kids who pray for their parents, people with life changing illnesses and even just people being thankful for God’s blessings in their lives. You definitely wouldn’t see this anywhere else! 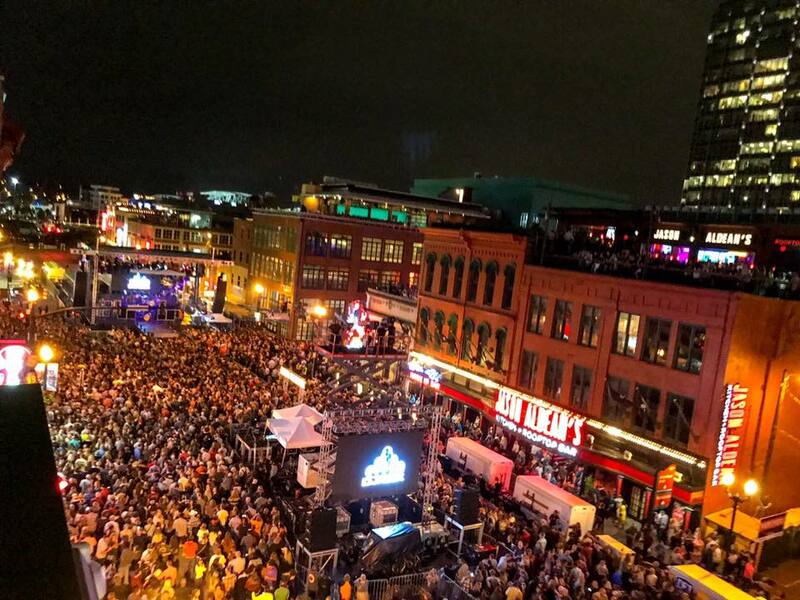 Monday night we found ourselves on Lower Broadway in the middle of a street party by country superstar Luke Bryan. Tuesday night and Wednesday night we attended the ‘Grand Ole Opry’ which is the home of Country Music. One thing we noticed about these three nights was the artists reference to God between songs. There wasn’t a night where someone didn’t take time to thank God for his blessings to them. Chris Janson said on stage at the Opry that his Christianity was the foundation for some of his song writing. Certainly not the sort of talk you’d get at a pop concert. After Nashville we headed up to the big wedding, about 40 mins west of Detroit in a small township called Eaton Rapids, Michigan. 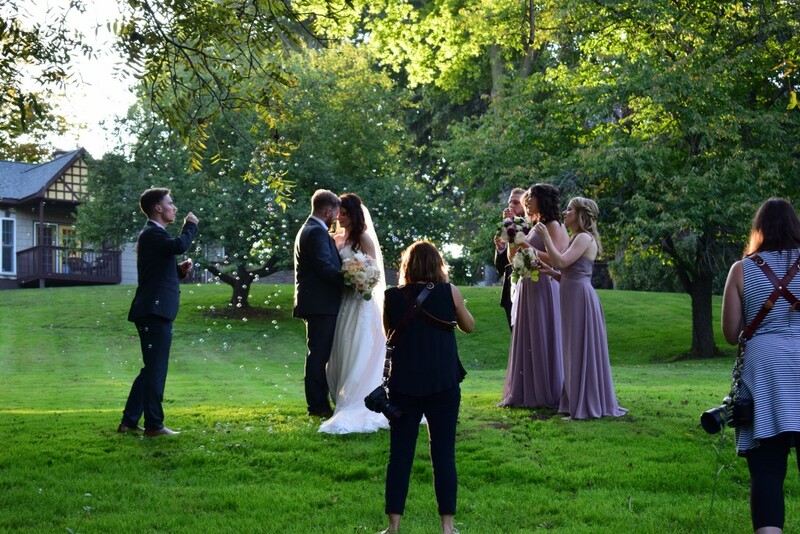 Jonny and Laura looked amazing, and the ceremony took place outside in the venue’s garden by a river. It was so peaceful, sitting amidst God’s creation, watching two great Christians declare their love for each other, taking their leadership from the Lord. It was very much a three way relationship. 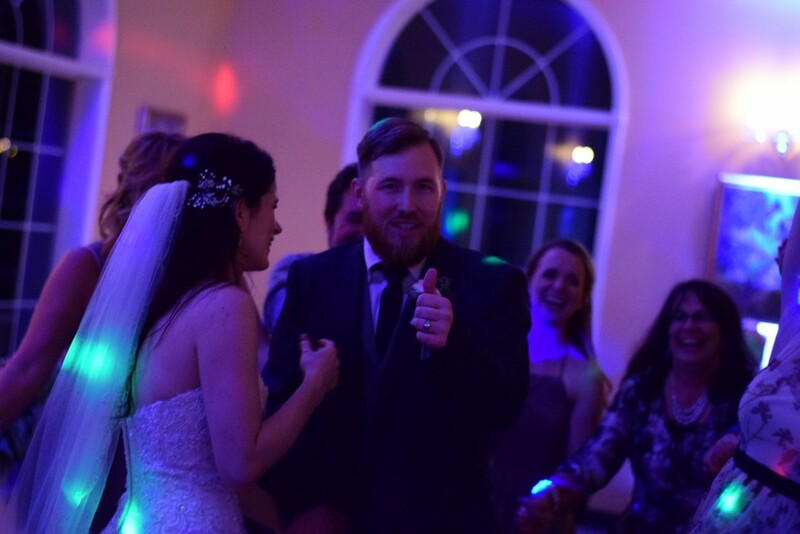 Later we had the honor and privilege of leading the wedding party and showing the Americans how the Northern Ireland Christians can let their hair down but still giving God his due glory. It was a special special day that we will never forget. Mr & Mrs Martin, we wish you the very richest of God’s blessings in all that you put your hand to in married life!